Attempting to profit from yet another holiday aimed at celebrating the loved ones in our lives, Verizon is offering a few promotions during the time of Father’s Day. According to mainstream media, every father is a typical tech lover, so getting him a new smartphone or VR headset is exactly what he wants. Never mind a new fishing pole or George Foreman grill, those gifts are way too cliche. Starting today, when you buy two Galaxy S7, Galaxy S7 Edge, or Galaxy Note 5 devices on a Device Payment plan and activate at least one new line, Verizon is throwing in a free 50-inch Samsung Smart TV. Specs for the TV are not available, but you can expect it to be at least 720p or 1080p (refresh rate unknown, but probably low) complete with Samsung’s Smart tech baked inside. To be eligible, both lines must remain active for six months on Verizon’s network, and please allow 8-12 weeks for delivery. A free TV is awesome, but maybe 50-inches is too big? 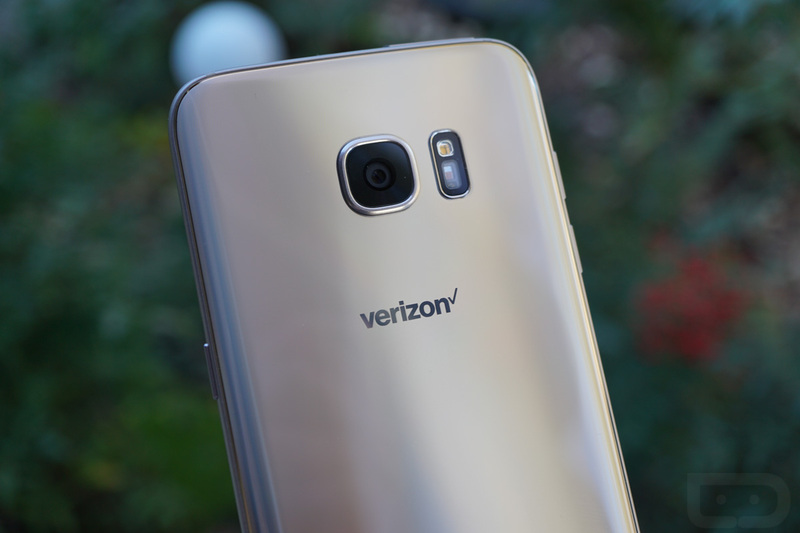 Verizon is also offering a free 32-inch Samsung Smart TV with the purchase of a Galaxy S7, Galaxy S7 Edge or Galaxy Note 5 device on a payment plan with a new line. If you are not in need of a new TV and you wind up purchasing a single Galaxy S7, Galaxy S7 Edge or Galaxy Note 5 for dad, you can receive a free Gear VR headset. This deal does not differ at all from the same promo that was available when the Galaxy S7 launched, but now it’s back for Father’s Day. For all of the details, look below, and again, all of these promos go live starting today at your local Verizon dealer. Free 50″ Samsung Smart TV. Beginning today, get a free 50” Samsung Smart TV when you buy two Samsung GS7, GS7 edge, or Note 5 devices on Device Payment and activate at least one new line. Free Gear VR. Get a Free Samsung Gear VR with Oculuar VR experience content, a $150 value, when you buy a Samsung GS7, GS7 edge, or Note 5. TheGear VR headset changes the smartphone experience you know today and puts you in virtual worlds, games, 360 degree videos and images. Free 32″ Samsung Smart TV. Also starting today for a limited time, get a free 32” Samsung Smart TV when you buy a Samsung GS7, GS7 edge, or Note 5 on Device Payment and activate a new line. $100 bill credit when you purchase a new smartphone. The offer applies to any smartphone purchased on device payment when you switch to Verizon. You can combine it with the $650 offer to switch to Verizon. Switch to Verizon and receive up to $650 to pay off your old phone or contract when you trade in your phone for a new one. If you’re switching to Verizon you can also receive up to $650. What’s the fastest way to score these savings? Stop by a Verizon store to complete your trade and learn about your savings. Get movin’ n grovin’ with Fitbit and Bose. Starting today, the Bose SoundLink Mini Bluetooth Speaker II will be $179.99 (normally $199.99) and Fitbit Blaze will be $179.99 (normally $199.99). The discounted pricing will be available for the month of June as part of Verizon’s accessory of the month promotion.